This rare disorder in children is presented across the spectrum of ages from birth to the adolescence. The chapter concentrates on the chemical abnormalities of the problem. It tabulates an extensive differential of calcium disorders and gives up-to-date information about chromosomal abnormalities for all of them. 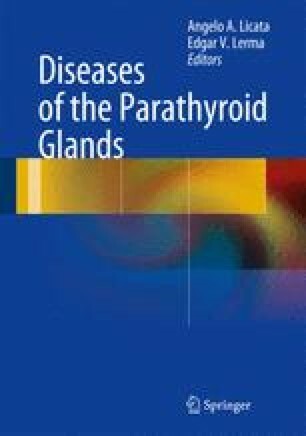 The chapter concludes with information about the management of primary hyperparathyroidism in children both from a medical and surgical point of view and focuses on some of the surgical complexities in patient care. The authors are most grateful to Richard Medeiros, Rouen University Hospital Medical Editor, for editing the manuscript.